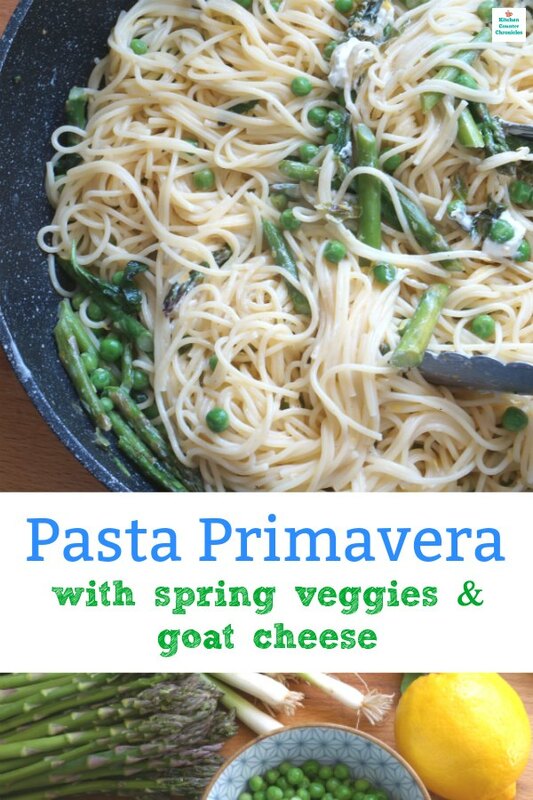 Springtime is all about those deliciously delicate budding vegetables. 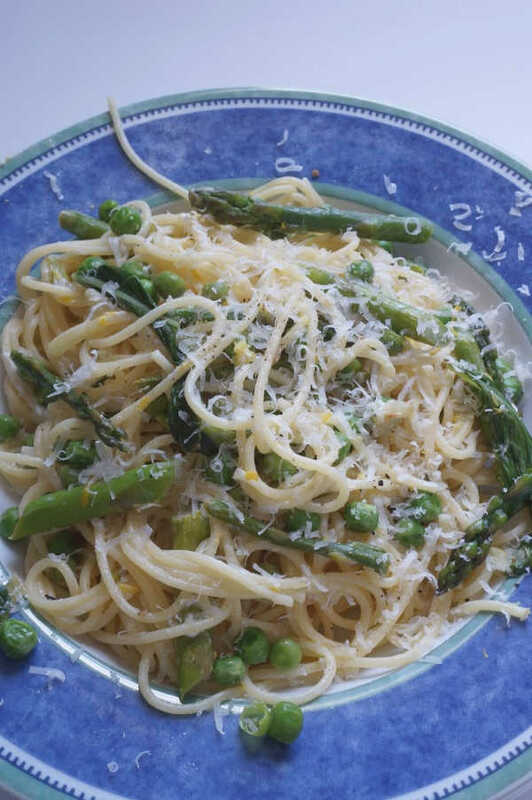 What better way to enjoy them than in a creamy pasta primavera dish. Add this recipe to your meatless Monday recipe repertoire. 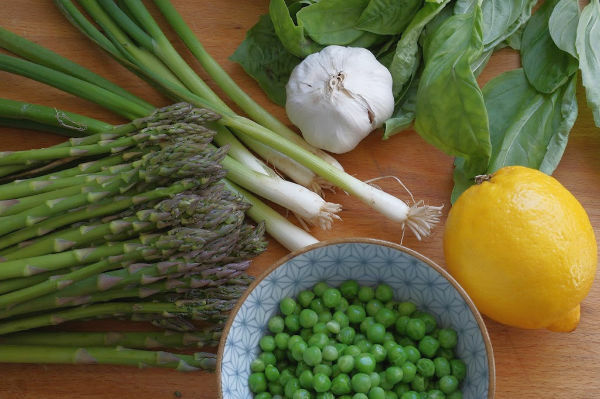 Is there anything more awesome than the arrival of fresh spring vegetables? 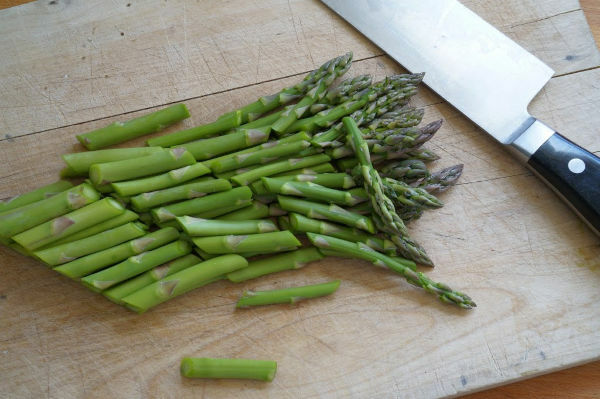 When those asparagus arrive at the grocery store I know that the warmer weather is finally on it’s way. Yay! Don’t get me wrong, I love soups and stews and all the warm comfort foods that I can consume all winter long. However, around March our family gets tired of the heavy food and we start craving lighter flavours. 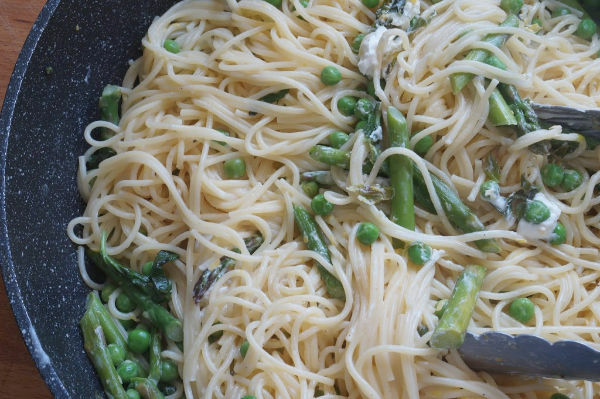 In our ongoing quest to eat a little less meat, a spring pasta primavera is a welcome addition to our weeknight dinner rotation. 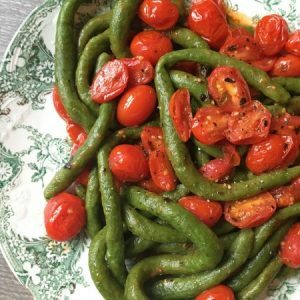 This is a super easy vegetarian recipe for kids. Perfect for busy school nights. Everyone is going to love the creamy, cheesy dish – they won’t even notice that it is a vegetarian recipe. Bring a large pot of water to the boil, for the pasta. This recipe is quick and you are going to need some of the pasta water to finish the sauce. So, get the pasta water boiling before you start the sauce. Your pasta will take about 8 minutes to cook and the sauce will take about 8 minutes to come together. 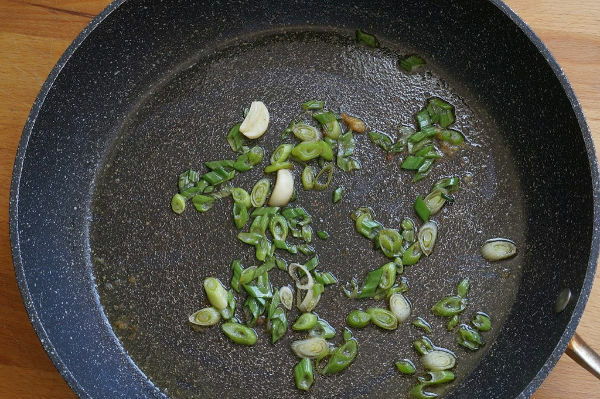 In a large pan, warm the butter and oil over medium heat. When the butter is melted add the garlic and the spring onions. 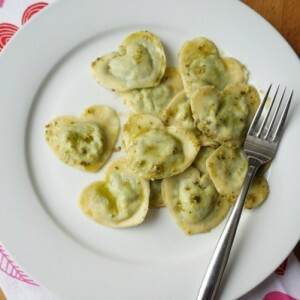 I like a light garlic flavour for this recipe, which is why I cut the garlic in half. This way I can remove the garlic right before serving. If you like a more garlicy flavour feel free to mince the garlic. 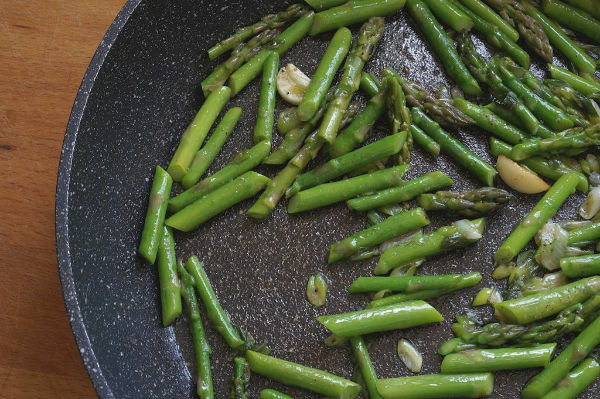 Add the asparagus to the boiling pasta water, to cook for about 30 seconds. Just to bring out the bright green colour. Then pull the asparagus out and add it to the softened onions. Add the peas and the boiled pasta to the pan. Stir in the basil, lemon juice, zest, salt and pepper. Now it’s time to add the goat cheese. Crumble the cheese into the warm pasta. If the sauce is “tight” or not quite dry, add in a ladle full of the pasta water and stir. Add the parmesan cheese and more pasta water, if necessary. 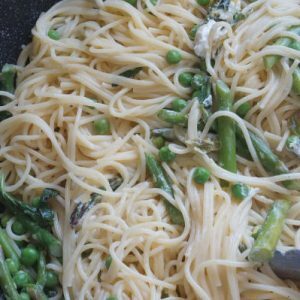 This is such a quick and easy vegetarian kid friendly dish, even your picky eaters will love it. The goat cheese and lemon provides a nice tangy flavour. The crisp veggies shine through. Don’t forget to sprinkle the final dish with some more parm cheese before serving. Now it's time to add the goat cheese. Crumble the cheese into the warm pasta. If the sauce is "tight" or not quite dry, add in a ladle full of the pasta water and stir. Add the parmesan cheese and more pasta water, if necessary. Nutrition Info is to be used as a rough guide only. Nutrition Info is based on the products I am using and you may be not be using the same products/brands. Thus, the Nutrition Info may vary.